Stephen Hawking’s voice is speeding through space. The famed cosmologist, who passed away in March at the age of 76, always dreamed of flying to space, and now, his voice is on a journey through the cosmos. Greek composer Vangelis, best known for composing the theme for the film Chariots of Fire, created an original score that reportedly spans six and a half minutes and features Hawking’s own voice halfway through. That piece of music was sent out from a satellite dish in central Spain today as Hawking was laid to rest in a ceremony at Westminster Abbey. 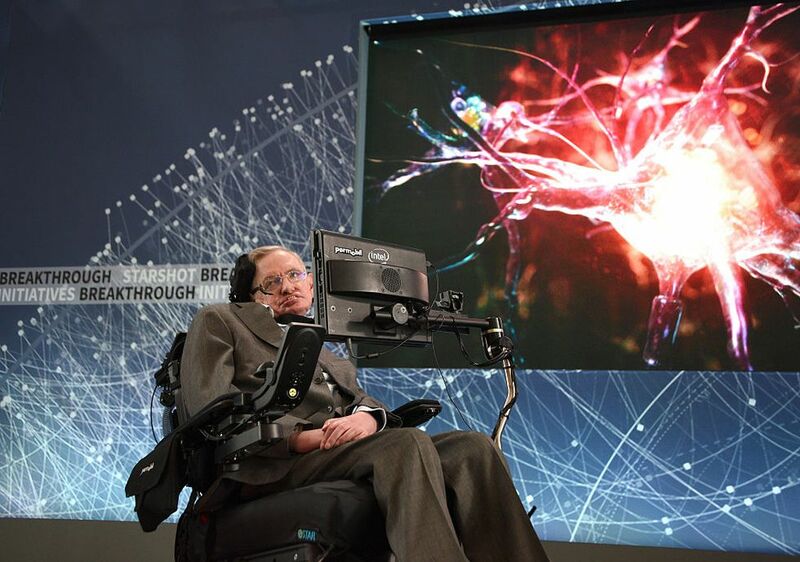 “This is a beautiful and symbolic gesture that creates a link between our father’s presence on this planet, his wish to go into space, and his explorations of the universe in his mind,” Hawking’s daughter Lucy said in a statement. So, where exactly will Hawking’s voice travel? The somber piece of music is now on a journey to a black hole — named 1A 0620-00 — located 3,500 light-years away. The poetic gesture is fitting when considered in the context of Hawking’s work. The cosmologist transformed our understanding of how black holes work, effectively reimagining how the objects function and interact with the rest of the universe. “It is fascinating and at the same time moving to imagine that Stephen Hawking’s voice together with the music by Vangelis will reach the black hole in about 3500 years, where it will be frozen in by the event horizon,” Günther Hasinger, the European Space Agency’s director of science, said in the statement. Hawking was laid to rest between Charles Darwin and Isaac Newton at Westminster Abbey. As per Hawking’s wishes, one of his most famous formulas — detailing the entropy of a black hole — is engraved on his tombstone. The service included readings from some of the scientist’s closest friends, like actor Benedict Cumberbatch, who played the physicist in a BBC biopic, astronaut Tim Peake, cosmologist Martin Rees, and Nobel Prize winner Kip Thorne.